Customer Service is one of the fundamental keys to building a successful business in the modern world. The 21st Century Customers really care about the service that they receive and their buying decisions are becoming more dependant on service rather than price or quality. 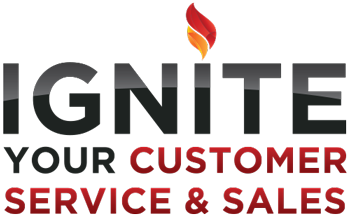 The Ignite Your Customer Service and Sales Programme is a 4 Module, group training programme that focuses on business growth and sustainability through providing a remarkable Customer Experience and developing Customer Centricity throughout the organisation.